The pressure is always on when you meet a couple and realise you have friends in common. 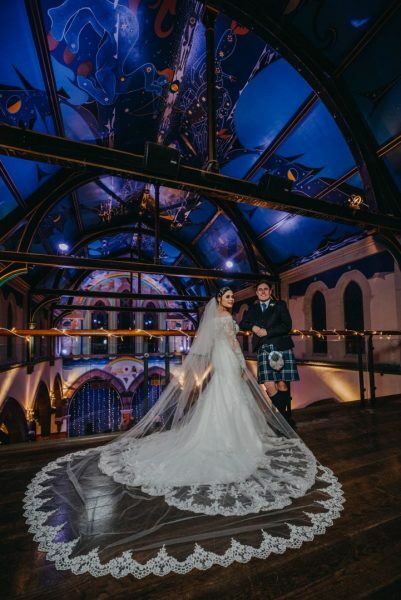 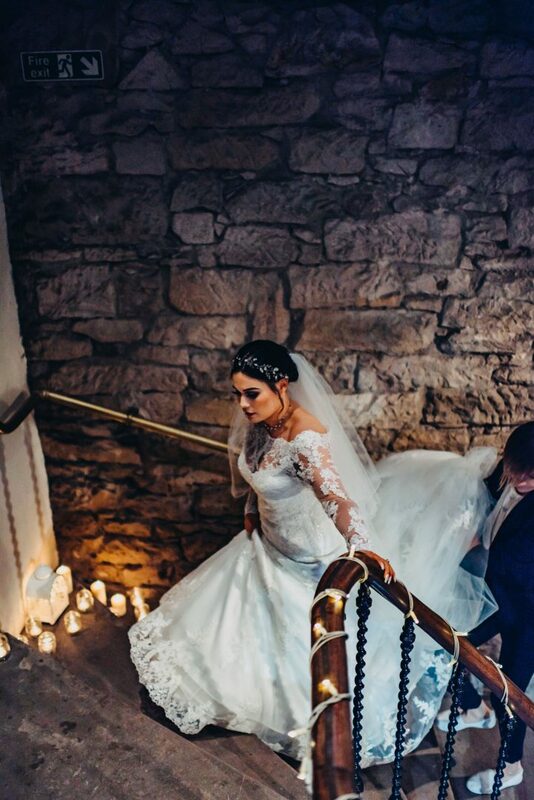 Kayleigh and Hugh visited Òran Mór in September 2017 to see our Auditorium as a possible venue for their wedding. At this point we realised that Hugh worked with one of my good friend’s partner – it really is a small world. The couple loved the venue and were keen to book their wedding for October 2018. 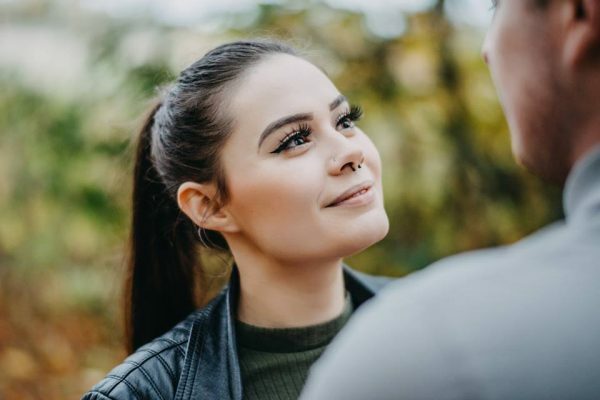 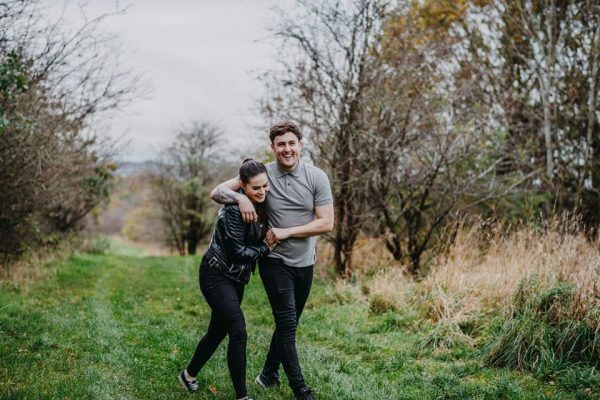 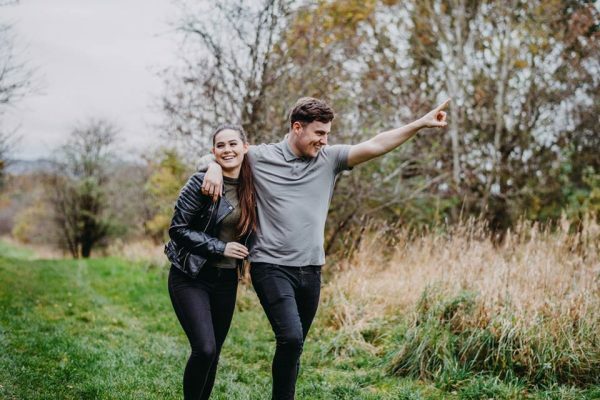 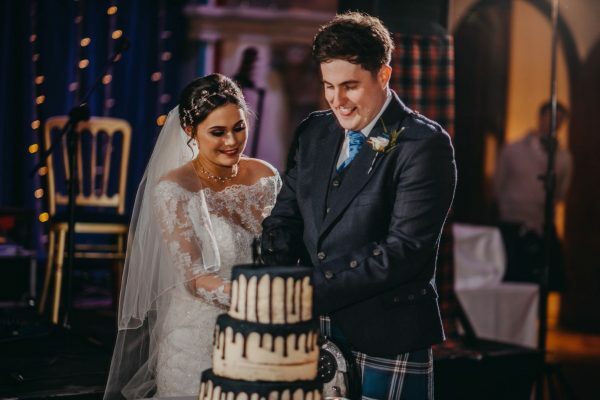 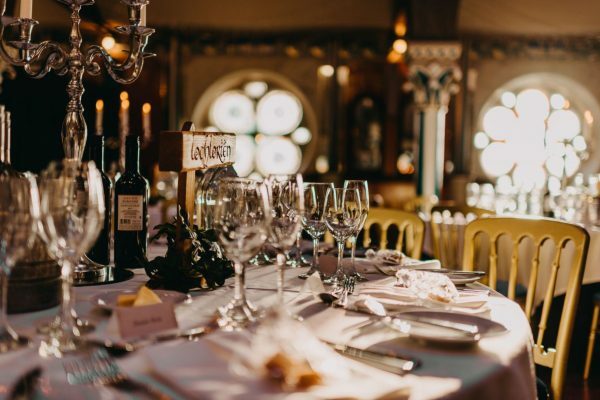 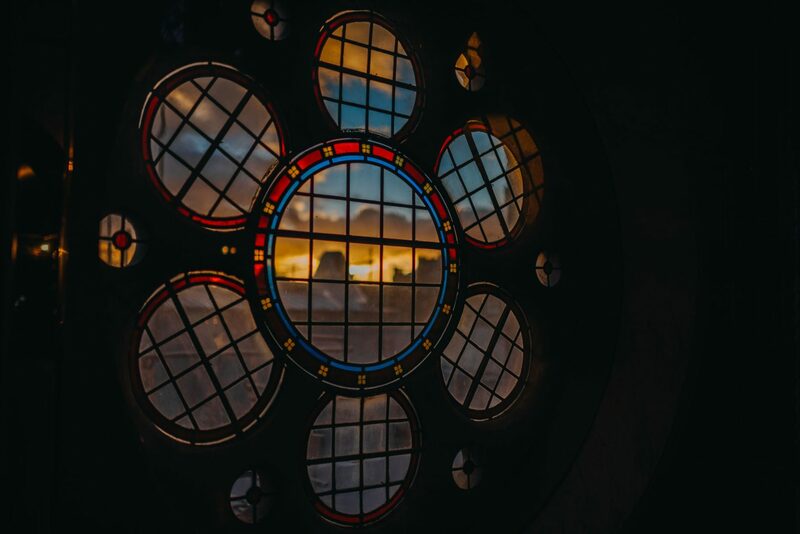 With only around a year to plan their wedding the couple attended our Wedding Fayre to meet with our recommended suppliers and start their planning. 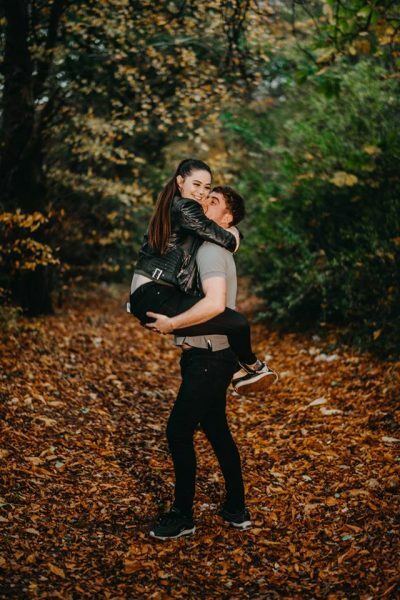 At this point they met with one of my favourite photographers, Mark Wild. 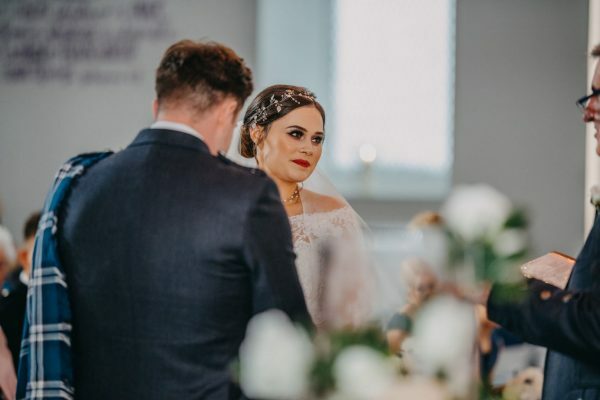 Mark has worked very closely with us at Òran Mór over the last few years and is our ‘go to’ photographer for in house events and Wedding Fayres. Mark took the couple on a pre-couple shoot a couple of weeks before their wedding, and the stunning autumnal backdrop made for some stunning pictures. At our Wedding Fayre Kayleigh brought along her bridesmaids to show off her wedding venue, and also at this point met and booked their entertainment for the wedding, DJ Mark Robb. 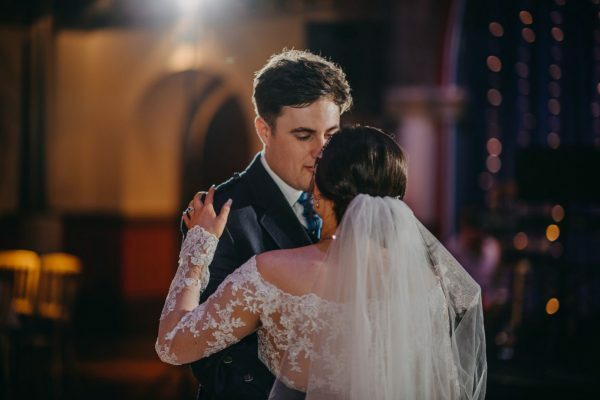 Mark is another ‘go to’ for our events and he has been DJ’ing in our venue since we opened in 2004. 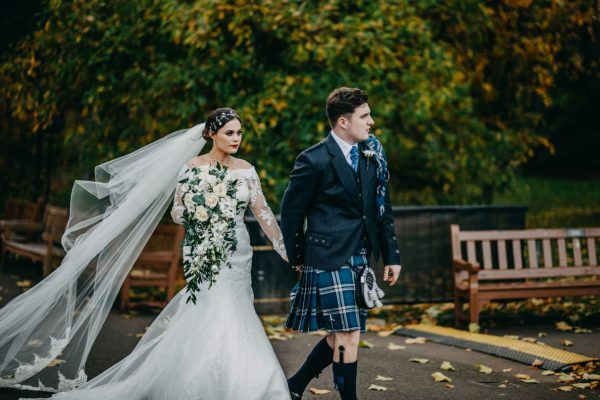 Mark has a completely unique and interesting style which Kayleigh loved! 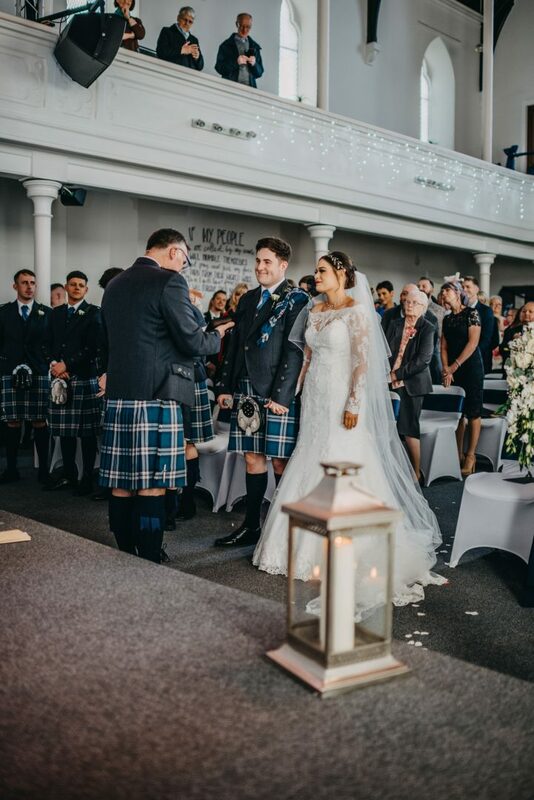 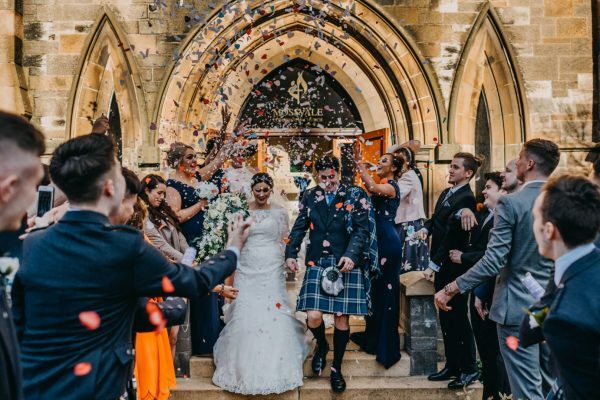 Hugh’s dad is a Pastor at Mossvale Community Church in Paisley, where the couple married at 2.00pm on Friday 26th of October 2018. 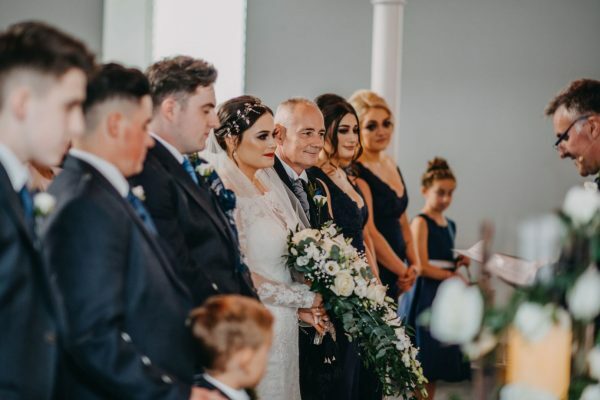 Guests arrived shortly after at Òran Mór for a drinks reception and were greeted by Kayleigh’s uncle who entertained them with some magic while they enjoyed some drinks awaiting the bride and groom. 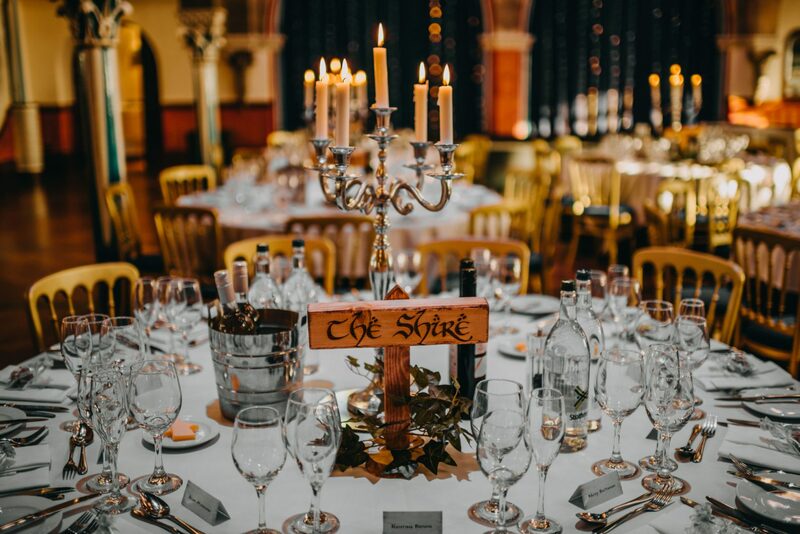 Kayleigh and Hugh used our in house silver candelabras but looked after all of their other wedding décor for the day. 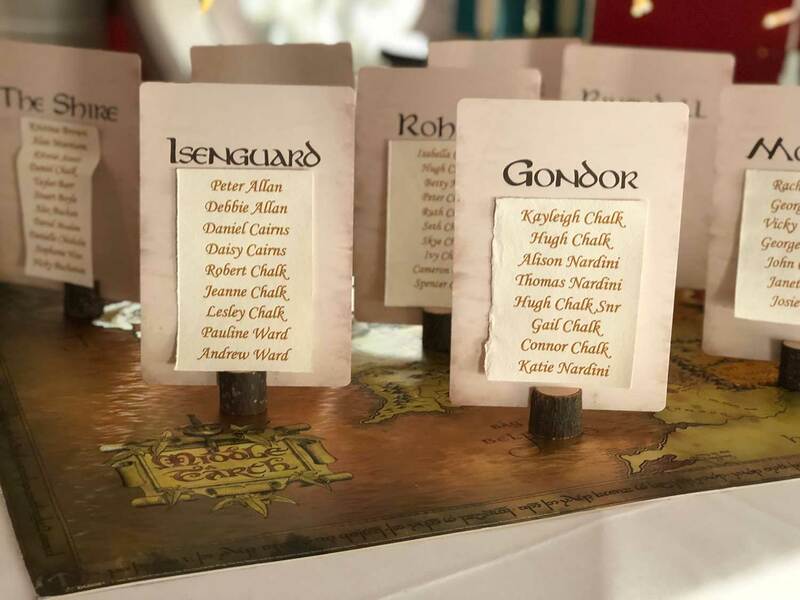 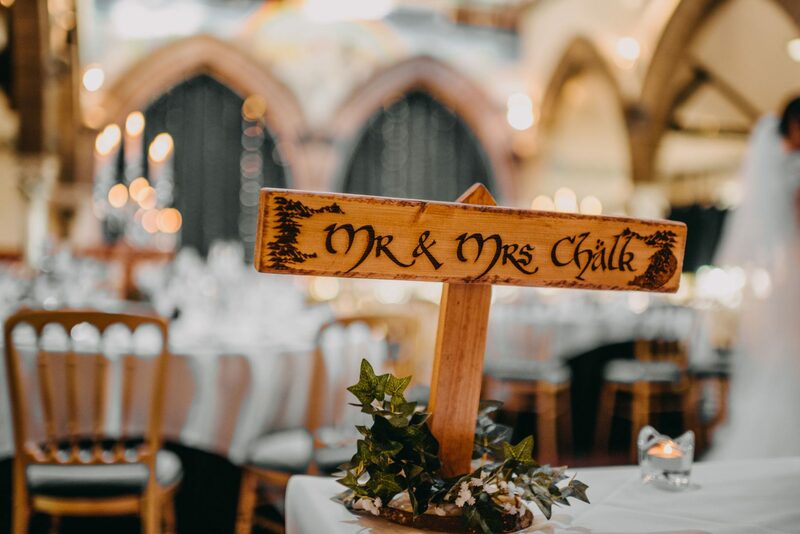 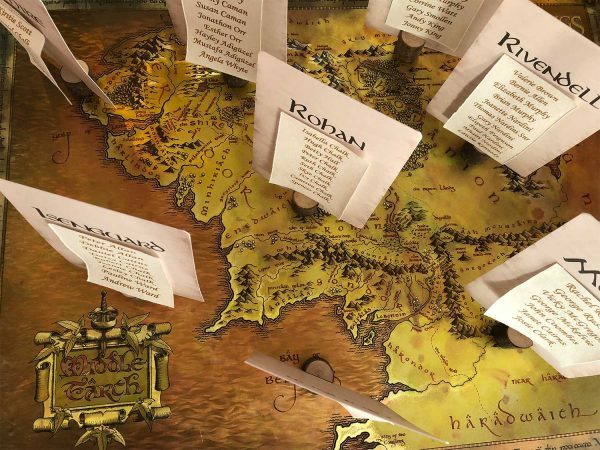 The couple opted for a Lord of the Rings theme for their table plan and table names which Kayleigh’s dad Thomas did a great job creating for them. 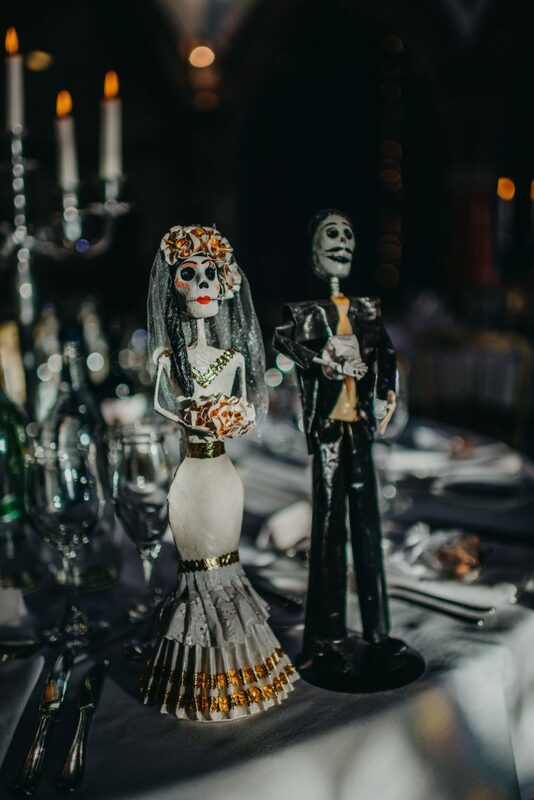 Thomas also bought the couple some Mexican ‘Day of the Dead’ skulls when visiting Florida, which he knew his daughter would love and rightly so they were sat in the centre of the top table for all of their wedding guests to see. 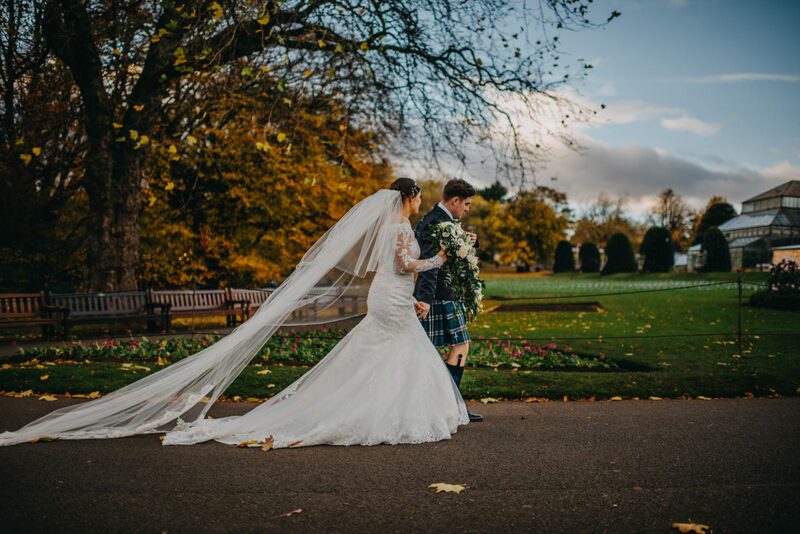 Mark Wild took the couple to the Glasgow Botanic Gardens before returning to Òran Mór for a photoshoot in our Auditorium Gallery. 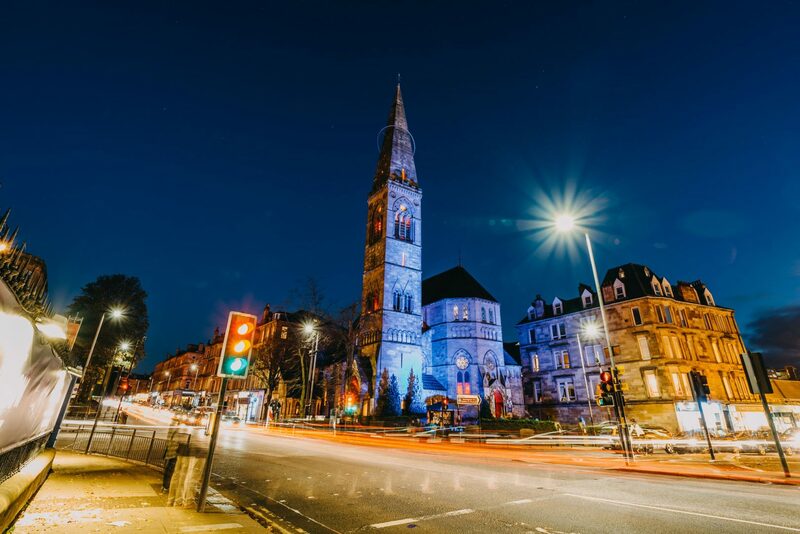 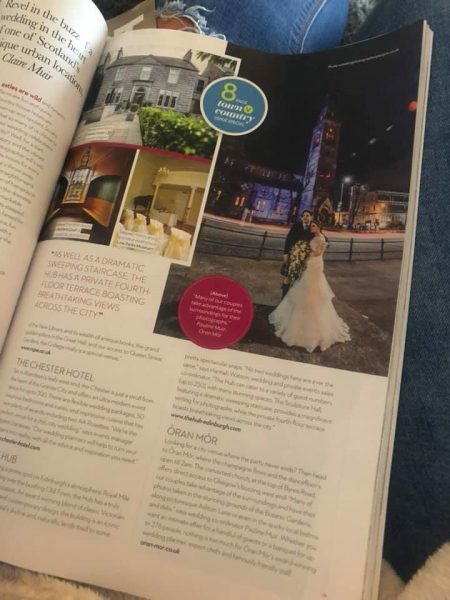 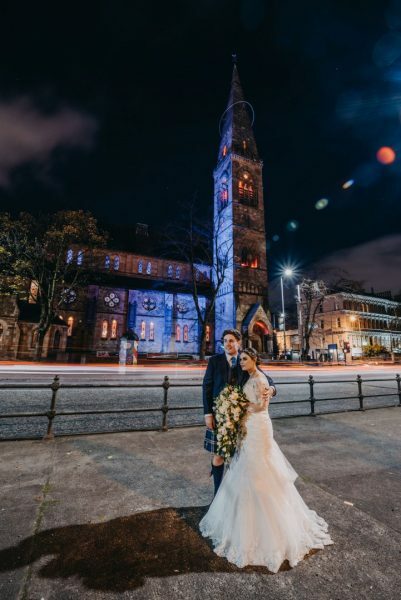 One of the couple’s favourite pictures of the day which was taken outside the venue on Great Western Road was featured in Tie the Knot magazine, which Mark and the couple were delighted about. Kayleigh and Hugh were extremely happy with their wedding photographs, and were so grateful of the work that Mark did at capturing their wedding day. 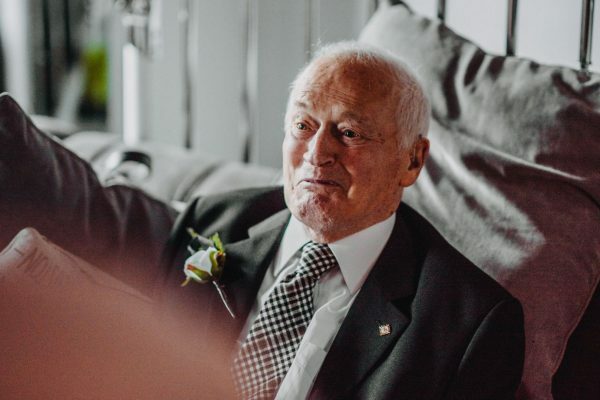 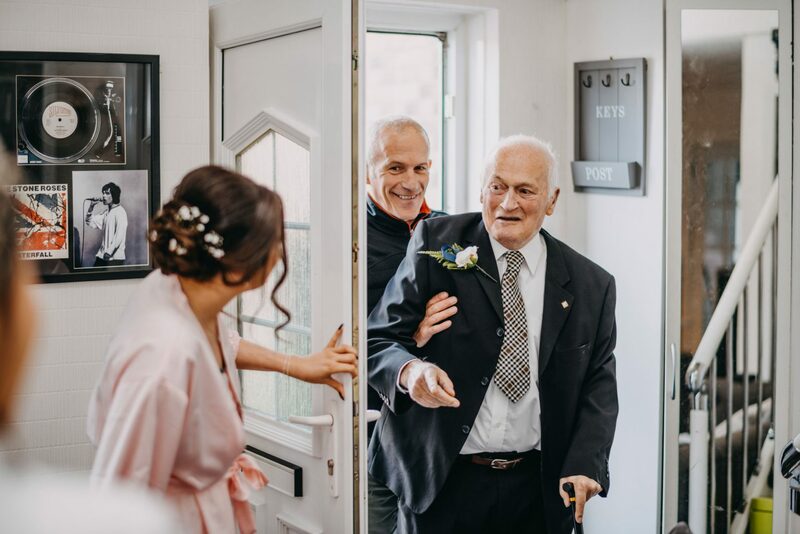 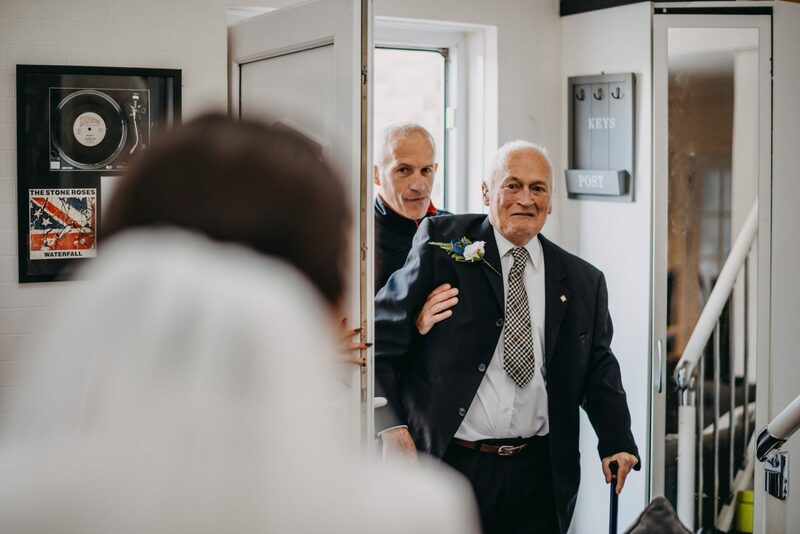 My favourite moment that was captured so perfectly on the morning of the wedding was when Kayleigh’s grandfather who was unfit to attend the wedding was brought over to her parents house to see his gorgeous granddaughter in her dress before the wedding. Her grandfather was dressed immaculately, prepared for pictures with his granddaughters and he even wore the same buttonhole as the rest of the family. 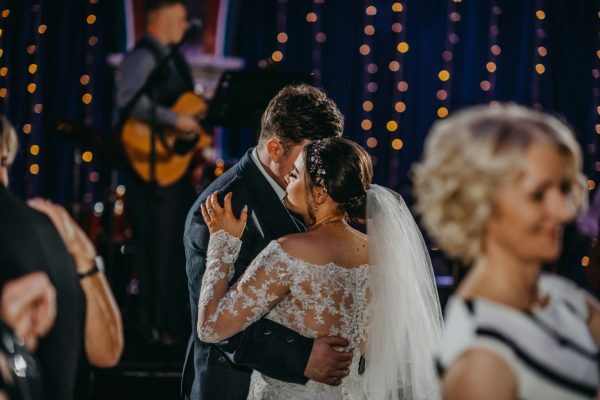 The pictures that Mark took of this moment are exceptionally touching and Kayleigh has since told me that this was a very special memory for her on her wedding day. 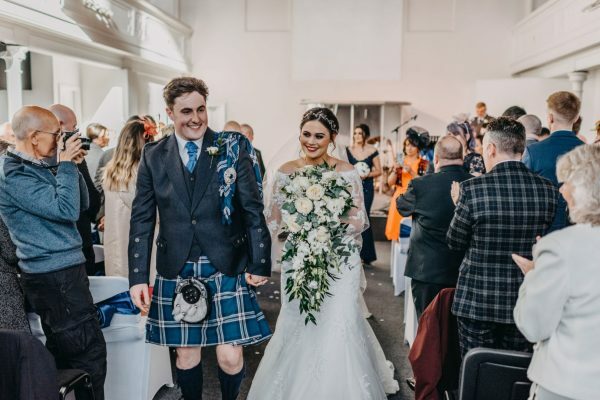 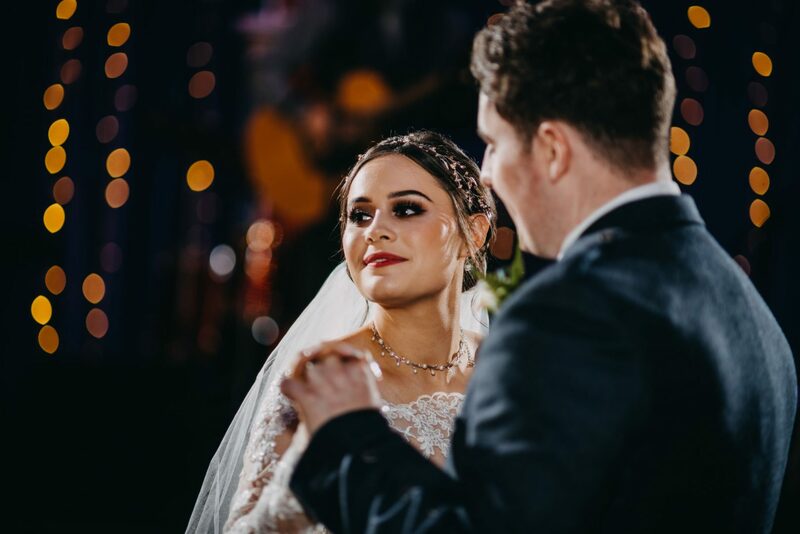 Kayleigh and Hugh had an amazing wedding day from start to finish and their day went exactly as they had dreamed it would. 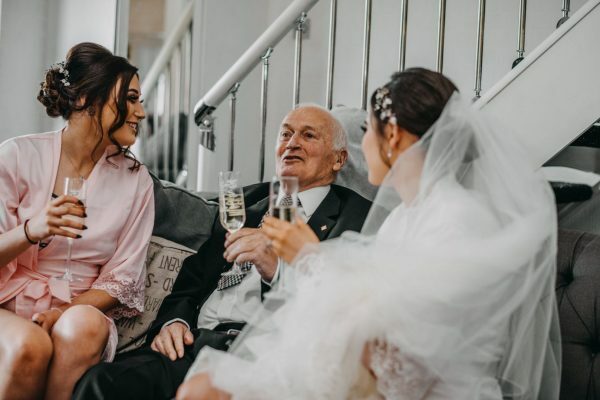 I met Kayleigh’s dad and sister in Starbucks a month or so after the wedding and they told me what a fantastic day they all had. 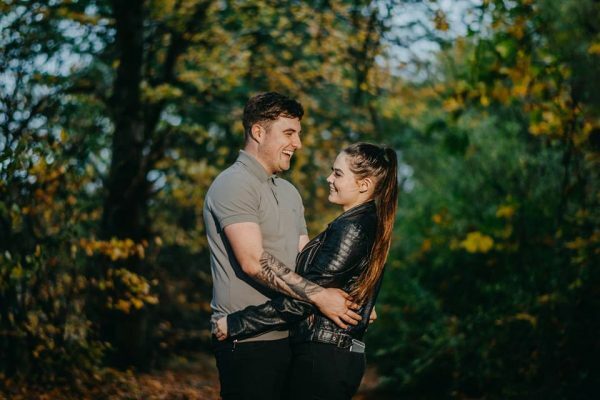 It was lovely to have worked with Hugh and Kayleigh whilst planning their wedding and it was great to see my good friends Lauren and Stephen on the day of the wedding. Congratulations to Lauren and Stephen who are now engaged and about to start their own wedding planning journey. 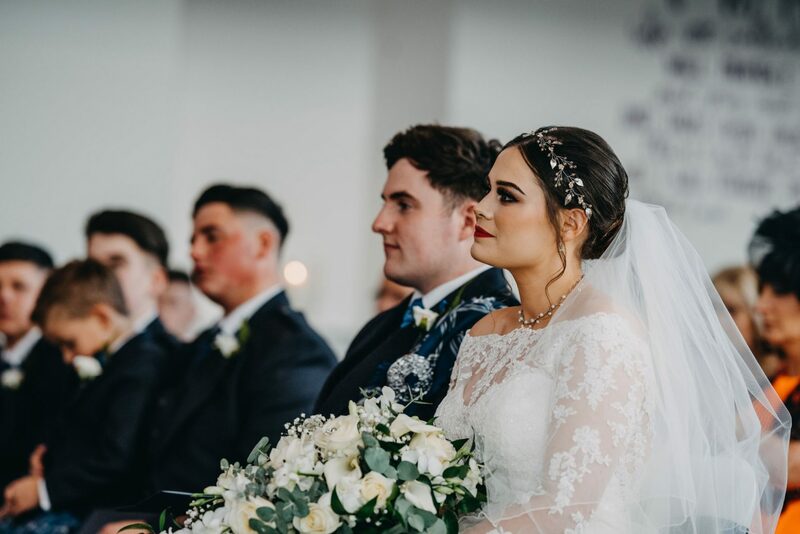 Pauline is the in-house Wedding Coordinator for Òran Mór.